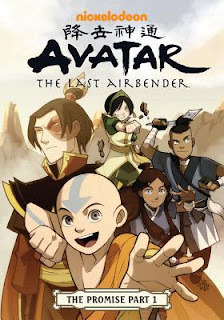 So you can imagine our elation at the opportunity to chat with Gene Luen Yang, author of the new graphic novel, Avatar: The Last Airbender - The Promise, Part 1, which picks up right where the original series left off and continues the story in an amazing way. It's seriously awesome! 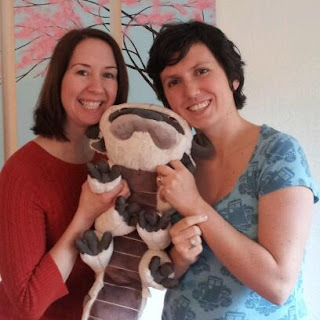 If you're an Avatar: The Last Airbender fan, we hope you'll enjoy listening to this episode of the podcast as much as we enjoyed recording it. We even kick off this podcast in an extra special way. It's pretty epic. And if you're wondering what this whole Airbender thing is all about... what are you waiting for?? Go watch the show! Then run out and get the graphic novel. And then come back and listen to this interview. Avatar: The Last Airbender - The Promise, Part 1, is published by Dark Horse Books. Look for it in comic stores on January 25th, and in bookstores everywhere on February 7th. Learn more about Gene Yang at his website. Hosting courtesy of archive.org. Avatar: The Last Airbender theme song © The Track Team. Please subscribe to Authors are ROCKSTARS! on iTunes for more awesome author interviews. Great interview, you ladies seemed justifiably excited! My favorite part about this was really just learning how Gene got involved. It was...vindicating that it was through his displeasure with what a certain film director was doing with the series that is what got him the call. I'm ordering my copy today, secure in the knowledge that is has been handled by someone who cares and has the integrity of the series first and foremost in the effort. I think you can definitely trust that the Avatar storyline is in great hands with Gene. He's such a talented guy, and his genuine enthusiasm for the franchise really comes through. Hope you enjoy the graphic novel! Have you though about doing a Legend of Korra one? I am loving Legend of Korra, so if the opportunity arose, I'm pretty sure we would jump at the chance to incorporate the new series into our show.